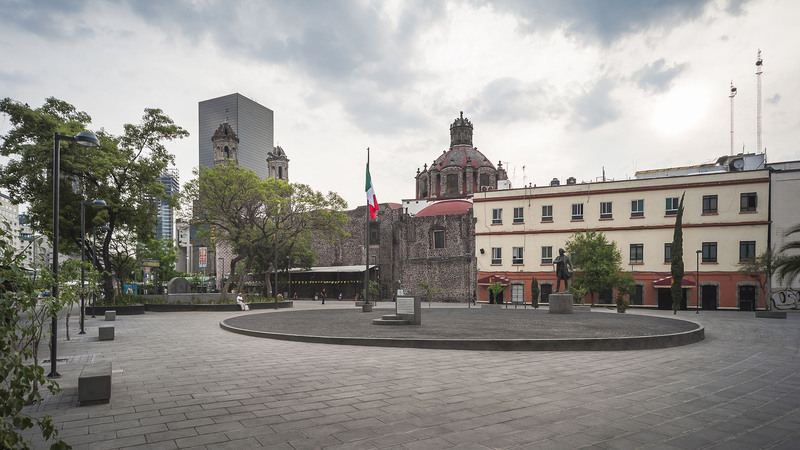 This project comprises the refurbishment of Plaza Zarco, to one side of the San Hipólito Church and adjacent to Reforma Avenue, in the Historic Center of Mexico City. 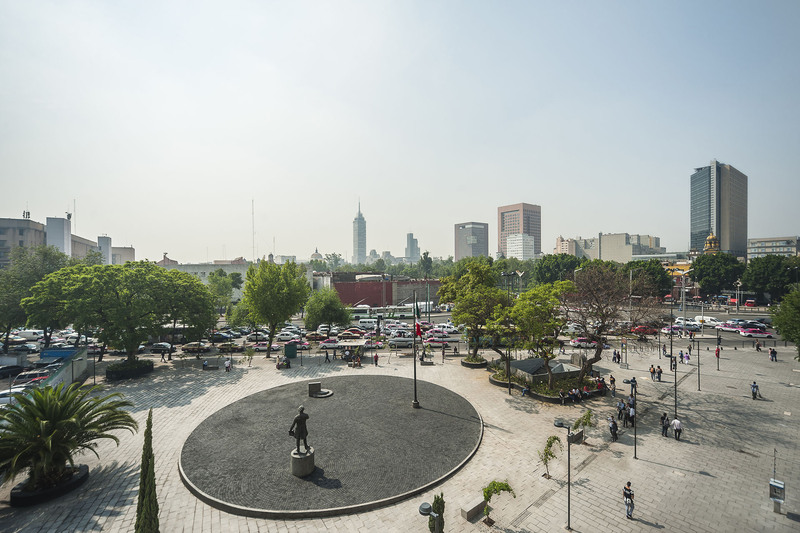 The plaza—which resulted from the demolition of a number of buildings when Reforma was widened in the second half of the twentieth century—presented several changes in level, blind spaces and urban obstacles, and was separated from the San Hipólito Church by Zarco Street. 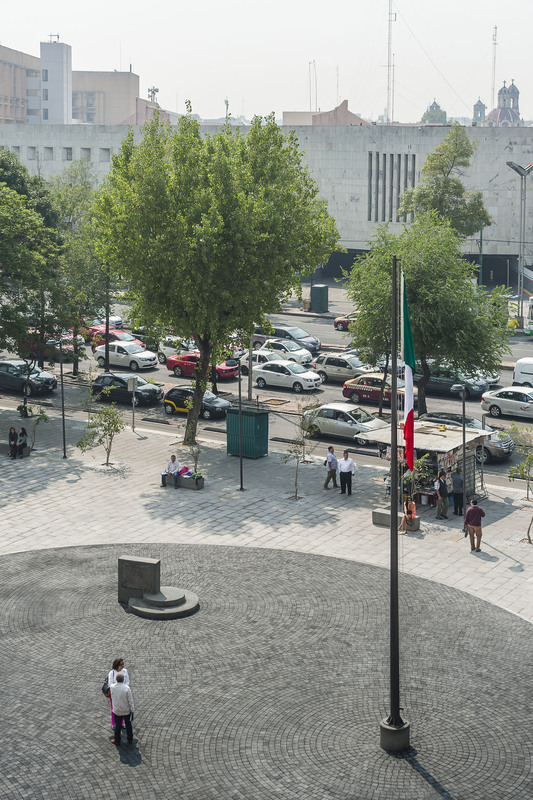 Over time, it had acquired a series of elements, including a bronze statue of journalist Federico Zarco, a wall with a phrase by journalist Manuel Buendía, a flagpole, an entrance to Hidalgo metro station, a chapel to the “Virgin of the Metro” who appeared at the station in 1977, and a number of planters, together with the presence of informal street stalls. The urban design proposed eliminating the pedestrian obstacles and blind spaces to promote flexibility, visibility and security. By generating a single flat, clear and straightforward surface, the presence of the San Hipólito Church acquires greater dignity while enhancing the surrounding heritage buildings. 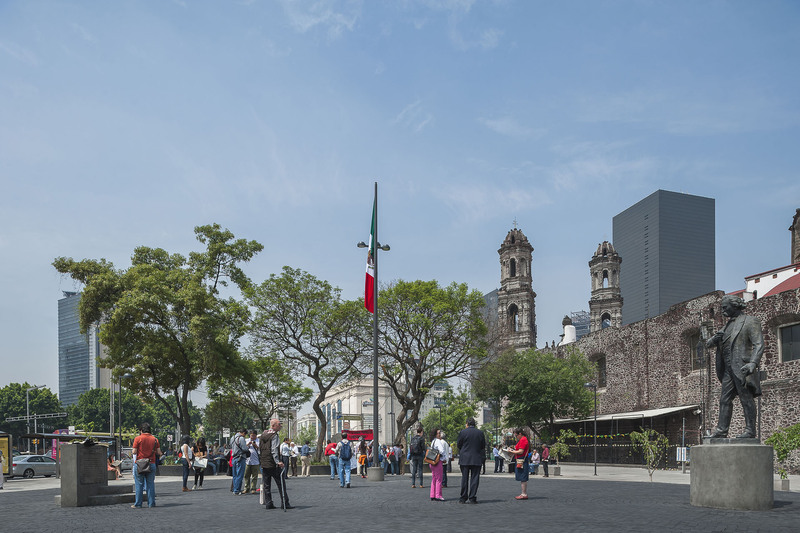 In order to create a kind of urban antechamber for San Hipólito Church, Zarco street was removed altogether, creating a direct link between the church and the plaza. In order to achieve the urban renewal of the area with a very limited budget, it was decided to simply reorder the existing elements. 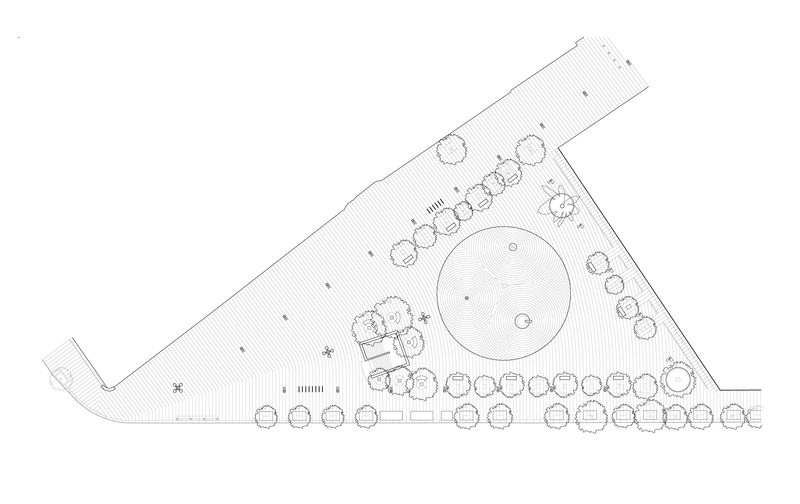 A large circular podium was laid out on the new, enlarged plaza as an urban stage where the different “actors” already present in the plaza would be able to establish new dialogues. A public platform was also added as an invitation for citizens to present a speech, declaim or harangue, in honor of freedom of speech. 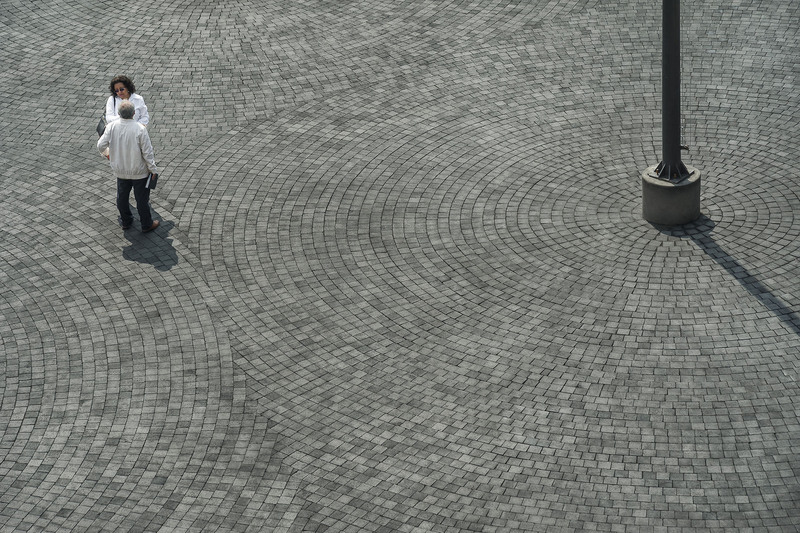 The urban space is thus conceived, presented and designed as a public stage in which different voices, ideologies and beliefs find their home: from the faith of the Catholic church to the right to freedom of expression and nationalism, by way of the plurality of citizens’ voices.